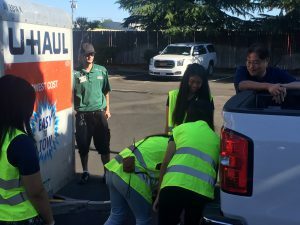 SACRAMENTO, Calif. — U-Haul presented its safe trailering practices to the National Student Safety Program and the American Driver and Traffic Safety Education Association Conferences from July 15-19 in Sacramento. The NSSP brings together student delegates from across the U.S. each year. Its goal is to initiate practices that will reduce teen injuries on the roadways. U-Haul is also a longtime sponsor of NSSP. For the seventh year now, the Company conducted a hands-on safe trailering “rodeo” at the event. Forty-five high school juniors and seniors and their instructors from five states (Hawaii, Washington, North Carolina, Oklahoma, and Wisconsin) competed in the July 15 rodeo. The students split into nine teams and rotated between stations. They learned how to: safely hook up a trailer to a tow vehicle; properly load a trailer using the 60-40 rule (60 percent weight in the front, 40 percent in the back); and also successfully back up a trailer, avoiding obstacles along the way. Consequently, the students can take what they learned back to their hometowns and share information on the importance of safe trailering practices. 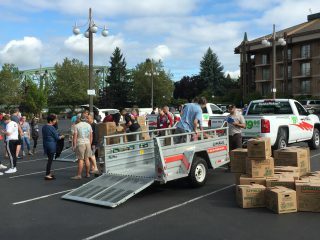 After packing up the rodeo, U-Haul unpacked its Trailer Demonstrator for the 61st annual ADTSEA Conference, also taking place in Sacramento. 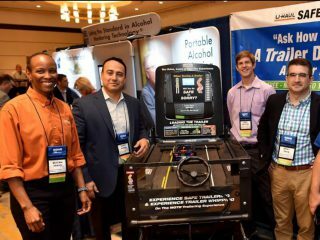 ADTSEA represents traffic safety educators in the U.S. and abroad. Additionally, it serves as the parent organization for the NSSP. U-Haul Company’s partnership with the association spans decades. Yet this was the first time U-Haul showcased its Trailer Demonstrator to all conference participants. Course materials were also distributed. Because of this effort, driver’s education teachers across the country now have the tools to teach their students safe trailering practices. Finally, the end result is safer roads for everyone. If you know of a safety or training event that would benefit from showcasing the Trailer Demonstrator, please email trailerdemonstrator@uhaul.com.